It is a local state of loss of sensation without loss of consciousness, in a circumscribed area of the body due to a depression of, excitation in nerve endings or an inhibition of the conduction process in peripheral nerves. Local Anesthesia is most commonly used in Dental Treatments where the need to Anesthetize a restricted region of the Oral cavity is required, in general, if there is a minor wound on the body local anesthesia is preferred to either clean and debride the area or in case of suturing. With help of Local Anesthesia, Dental treatments are performed by relieving the patient from pain and discomfort while performing any Dental Treatment procedures. 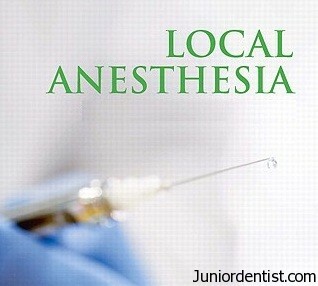 Local anesthetics are drugs which when applied directly to peripheral nervous tissue block nerve conduction and abolish all sensation in the part supplied by the nerve. They are generally applied to somatic nerves and are capable of acting on axons, cell body, dendrites, and synapses. There are many Local Anesthetic agents which are used in Dental Treatments and most commonly used are Lignocaine also called as Xylocaine or Lidocaine (Rapid Acting), articaine, procaine or novocaine (Slow acting), Mepivacaine (Rapid acting), Bupivacaine (slow acting), Ropivacaine (Medium acting), Levobupivacaine (Medium acting) etc.